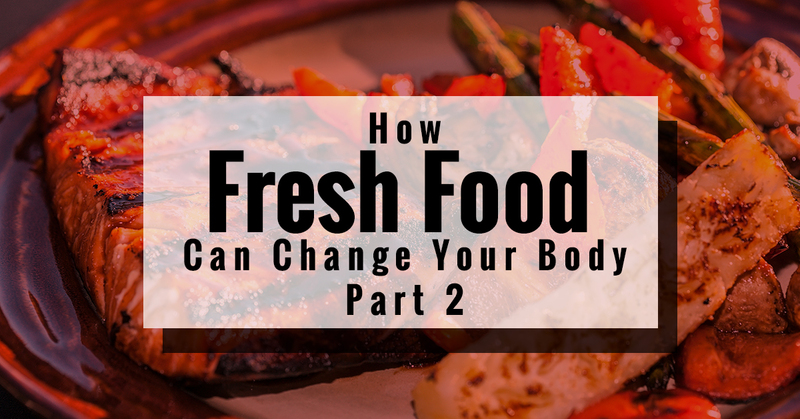 In Part One, we went over a few reasons that eating healthy can change your body. It’s vital to mention that the changes in your body won’t happen overnight, but they will happen after a few days. For example, after a few days of eating healthy, you’ll find that even though you eat more healthy foods you’re not gaining weight. You’ll also feel mental clarity and you’ll feel much more energized than you normally would when eating processed and less healthy foods. At Joseph’s Classic Market, we sell a delicious and nutritious array of fresh foods. We’re proud to offer fresh foods that are affordable as well. No matter what day of the week you come shop at our establishment, you’ll find a weekly or a weekend special. So what can healthy eating do for your body? In Part One, we mentioned that it can help with decreasing your chances of heart disease, controlling your blood sugar, and making your skin look fabulous and younger. Now, what else can it do? Let’s find out below! Healthy eating can cut down on the amount of stress you feel. Everyone in today’s society feels stressed out and anxious. From students who are trying to ace classes to parents who want to make sure that their kids are home at a certain time, everyone feels stressed out. However, it’s how you handle that stress that makes a difference. When you feed into your stress with alcohol or eating sugary snacks, then you’re likely to feel more overstretched. However, by enjoying some fresh food, you’ll largely impact the neurotransmitters in your brain, which affect the cortisol and the adrenaline in your body. Adrenaline and cortisol are stress-inducing hormones that act up and can cause harm to your body if you’re under too much stress. Eating healthy also helps your immunity. You may think this is an obvious one because healthy food would of course help your immune system, but it can really boost it. For example, healthy foods will keep your stomach happy by balancing the bacteria in it and it’ll reduce any possibility of infections. It can also keep you from catching any germs because it’s stronger and much more resilient. By feeding your body nutrients, you’ll notice that any injuries will heal in less time and any colds you get won’t stick around for as long. Lastly, eating healthy will keep you strong. Do you want toned arms and legs? Do you want to be able to lift heavy boxes and open jars without any help? Popeye was onto something about becoming stronger with spinach and when you eat foods that are rich on protein, vitamins, and other nutrients, then you’ll notice that you have more strength and can do more activities. No matter what age you might be, eating healthy will keep those muscles strong and your age just a number. Are you ready to start changing your diet? Start by shopping at Joseph’s Classic Market for fresh food that will enhance your quality of life.